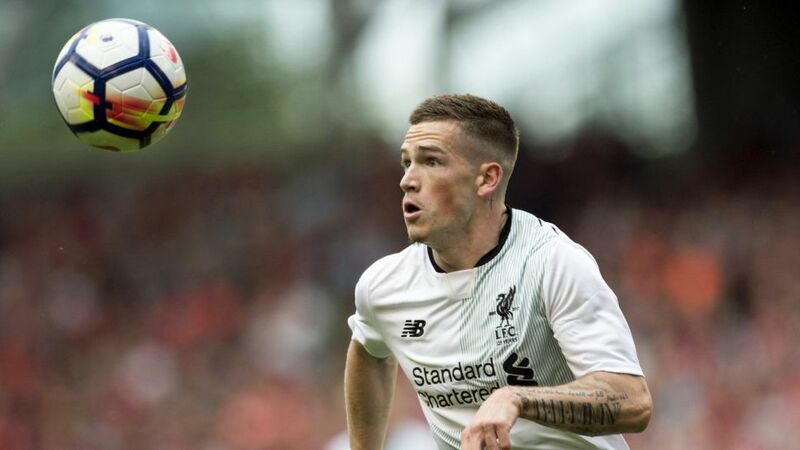 Liverpool-owned Freiburg midfielder Ryan Kent made his Bundesliga debut away to Bayer Leverkusen on Matchday 4. The 20-year-old England youth player replaced Tim Kleindienst at half-time, with Die Breisgauer trailing hosts Leverkusen 3-0. Kent joined Freiburg on a season-long loan on deadline day, following stints with Coventry and Barnsley. "It wasn't clear at first whether Liverpool would even let him leave," said Freiburg sporting director Klemens Hartenbach on sealing the winger's signature last month. "The door has only really opened in the last couple of days. Ryan first caught our eye at an U-19 UEFA Youth League fixture between Liverpool and Basel. He's a two-footer, versatile attacker. He can play on both flanks and will really add to our attacking game." Kent is the latest in a growing line of fresh English faces to appear in the Bundesliga, after the likes of Kaylen Hinds (Wolfsburg) and Reece Oxford (Borussia Mönchengladbach). He is also the first Englishman to play for Freiburg and the tenth to grace the Bundesliga overall.